My first outing with the iPhone 6S has convinced me it can produce results that can be used for professional work. 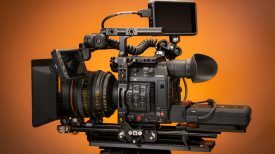 Don’t get me wrong; I’m not about to replace my FS7 or a7R II with it. But for low profile shooting and catching fleeting moments, the iPhone has its uses. 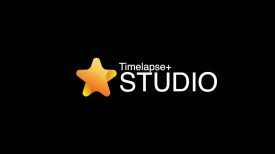 In the first shoot I used FiLMiC Pro and shooting at higher bitrates to get a better image. 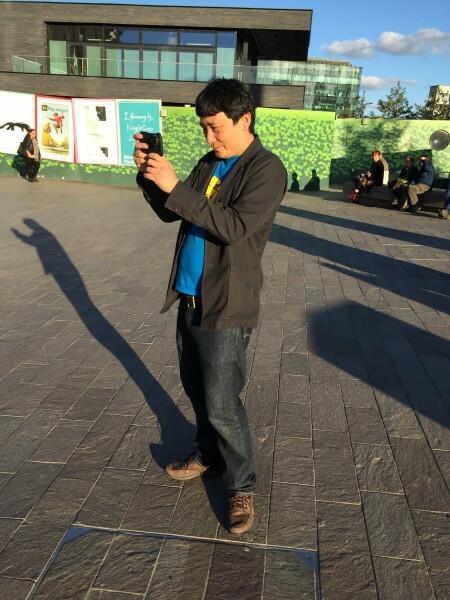 The resolution and colour stand up reasonably well against prosumer video cameras, but the thing that gave away the iPhone 6S footage more than anything else was the staccato appearance of motion in bright light. This is of course caused by the iPhone using high shutter speeds. FiLMiC Pro allows you to lock the shutter speed at 1/48 or 1/50 but you’ll need a way to control the amount of light hitting the sensor. Another giveaway was the lack of lens choice. The one on the iPhone is equivalent to a slightly wide standard lens, which is somewhat limiting. 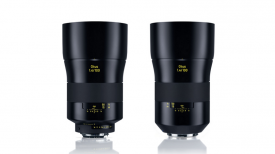 The lenses attach to the case using a bayonet fitting and can be removed quickly and easily. For the shoot I used the wide angle and telephoto adapters. Next I attached a fixed 0.6 (two stop) neutral density filter to the front of the lens. The filter is 30.5mm and quite doesn’t fit the iPro lenses, so I used gaffer tape to hold it on the front. I happened to pick the filter up secondhand from a camera store a few weeks ago and I believe it is originally designed to fit the rear of a mirror lens. Obviously, with a fixed ND filter there is no way to guarantee you get the shutter speed you want; it’s a bit of a crap shoot. In very bright light the shutter speed will still be high. In low light the images may be unnecessarily noisy. The final touch to my new kit was a Rigwheels magnetic ball-head mount. This little gadget works well when placing the camera on the ground and stuck, or held onto other flat surfaces. It fitted straight into the 1/4 20 thread on the iPro system case. I’ve also got a mini tripod that works well, but didn’t bring it on this test. With my iPhone now rigged out I went out to test it. Time was too tight to find a real story, so these are just a few test shots. As soon as I started to roll I immediately hit a big problem. FiLMiC Pro just wouldn’t allow me to record 4K at all. It kept locking up no matter what I did. Several reboots later I abandoned the app and used the default camera app instead. 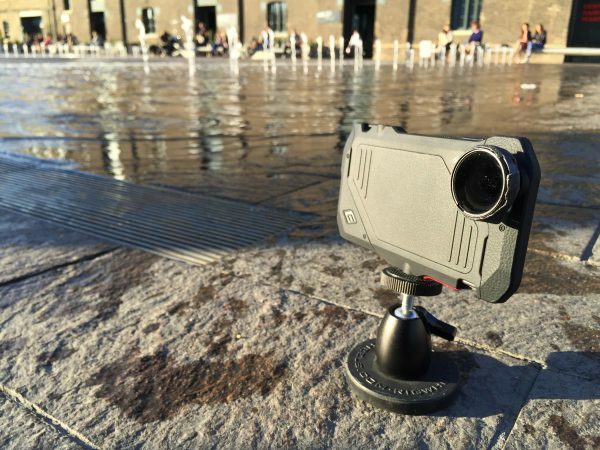 This limited the iPhone to shooting 4K at 30fps at a lower bitrate. I also lost direct control of exposure. I really hope there is a fix for FiLMiC Pro soon, or a competing app that gives full manual control when shooting 4K. Because of this, the results you see here are not as good as they could be. The lack of controls was annoying, but even so you can hopefully see how the ND filter helps to make thing a bit more natural. The lenses help too; just don’t expect miracles. There is some distortion, chromatic aberration and edge softness evident, but it was great to have at least some limited lens choices. The final video was rough graded using FilmConvert using the FJ 8543 VD film emulation and film grain was applied. Make sure you login to Vimeo and download the 4K version if you want to get a better idea of what the footage actually looks like. As with the previous video some of the highlights are blown out and this is hard to avoid with the iPhone 6S. The native camera app definitely has more compression artifacting and I missed the 150 Mbps setting of FiLMiC Pro. The results aren’t great, but I do think this is a step in the right direction. I could at least cut a few of these shots into a quick sequence and most people probably wouldn’t suspect it was shot on iPhone. I’d like to try the exercise again when FiLMiC sort out a fully working version of the app. 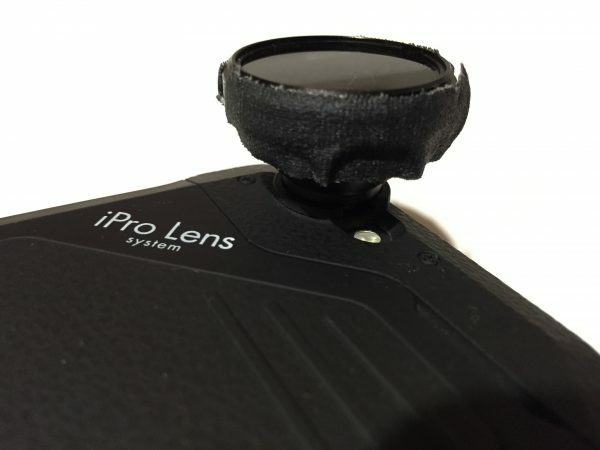 The other thing I would like to try and fit to the iPhone is a variable ND filter rather than a fixed one – this should allow much greater control of speeds. 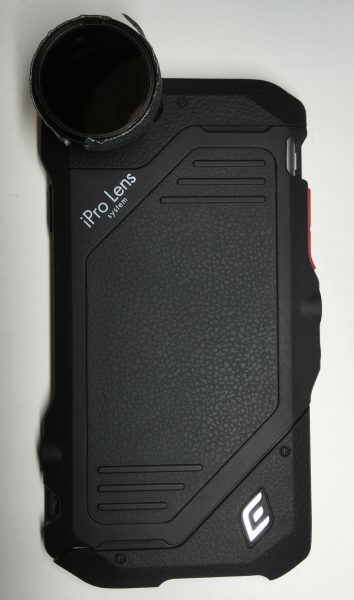 The form factor of the iPhone isn’t really compromised by the iPro case and the lenses and filters just slip into your pocket. Others have fitted 35mm lens adapters to the iPhone to get more cinematic results but to me this doesn’t make much sense for factual work. If you totally break the form factor of the iPhone then you may as well just shoot on a RX10, a7S or a7R II. If and when I get my hands on a better iPhone 6S solution, or a 6S Plus with optical image stabiliser, I’ll report again.